Talk to me about your health. ¿Aprovechaste las oportunidades para hablar en inglés? Did you take advantage of the opportunities to speak English? Sí, pero no hablamos mucho. Yes, but we didn’t talk much. Siempre me habla de vosotros. He always talks to me about you guys. I speak a little bit of Spanish. Esta maquina aún puede hablar. This machine can still talk. Está resfriado y por eso no puede hablar. No nos gusta hablar de política. I don't speak with anybody. ¿Has hablado con el profesor? Have you spoken with the teacher? Nosotros hablamos con el abogado ayer. We spoke with the lawyer yesterday. I spoke with the director. No pudimos hablar inglés pero ahora sí podemos. We could not speak English but now we can. ¿Pudieron ustedes hablar inglés cuando llegaron a Utah? Could you speak English when you arrived in Utah? Los niños están hablando por teléfono. The children are speaking on the telephone. ¡No habrías hablado de posesión! You wouldn't have spoken of possession! Hola. Hablo muy poco inglés. Hello. I speak very little English. Mario habla español. Lo traeré. Mario speaks Spanish. I will get him. No has oído hablar de él. You haven't heard about him. Yo hablo español en la clase. I speak Spanish in the class. ¿Hablas español en la clase? 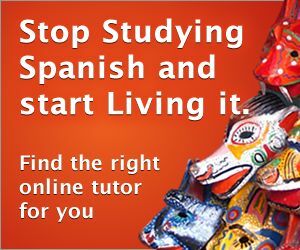 Do you speak Spanish in the class? Nosotros hablamos español en la clase. We speak Spanish in the class. Me habla mucho de ustedes. He talks to me a lot about you all. ¡No me hables de él! Don't talk to me about him! I spoke with his receptionist. I spoke with his secretary. I spoke with his boss. I spoke with his associate. I spoke with his co-worker. I want to speak with the embassy. I want to speak with a lawyer. Es nuestra forma de hablar. It's our way of speaking. I am speaking to my cousin. ¿Por qué les gustará tanto hablar de fútbol? Why do they like to talk about soccer so much? Ellos hablan a la vez. They talk at the same time. Tú puedes hablar con él. Maria speaks Spanish, doesn't she? ¿Usted oyó hablar de ese proyecto? Él siempre me habla de usted. He always talks to me about you. Ella siempre me habla de usted. She always talks to me about you. Do you have difficulty when speaking? ¿Puedo hablar con el gerente? Ella puede hablar en español. She can speak in Spanish. Habló a cuantas personas pudo. He spoke to as many persons as he could. No hablaste a tu amigo. You did not speak to your friend. Did you speak to your friend? Juan habló con el abogado ayer. John spoke with the lawyer yesterday. Siempre me estás interrumpiendo, déjame hablar. You're always interrupting me, let me speak. I speak to my cousin. Do they speak the same language? I spoke to him yesterday. This is Mike Johnson speaking. Yo le hablé a ella. Ana le habla a el. Hablar, hablar, hablar, y mientras tanto siguen disparando, disparando, disparando. Endless talking against a background of endless shooting. We were going to discuss Guatemala. ¿Sobre qué vamos a hablar? I am able to speak from experience. He dicho hablar pero no codecidir. Please note that I said 'discuss' , not 'codecision' . Do you wish to speak in favour of the proposal? Pasemos a hablar del informe. Let us move onto the report. Me gustaría hablar de Mozambique. I should like to speak about Mozambique. He oído hablar de sanciones. I have heard talk of sanctions. – I would like to talk about Kazakhstan. ¿Quién debería sentarse a hablar? Who should do the talking? The IOC must speak up. They are willing to talk. Voy a hablar en inglés. I will speak in English. Let me be clear today. We have the right to speak freely. No obstante, debo hablar abiertamente. However, I must speak openly. It really is impossible to speak. ¿Hay alguien dispuesto a hablar? Is anyone ready to speak? ¿De qué van a hablar? What are they going to discuss? No se puede hablar ambiguamente. We cannot say ambiguous things. It is not enough to talk! No vamos a hablar de ello. We will not dwell on this any further. Queríamos hablar sobre la coherencia. ¿Tiene sentido hablar de actualización? But is it just about updating? Vamos a hablar con organizaciones no gubernamentales. Señoría, vamos a hablar con claridad. Mrs Sandbæk, let us be quite clear about this. Pero no quiero hablar del pasado. However, I am not trying here to come to terms with the past. Y los chinos pueden hablar. And the Chinese must be able to speak out. Yo puedo hablar de ello. Podemos hablar largo y tendido. We could talk at great length about this issue. De esto nadie quiere hablar. Nobody wants to talk about this. Todos somos culpables de hablar. No voy a hablar de ello hoy. I will not go into that today. De Chechenia mejor ni hablar. I shall not even mention Chechnya. Ni hablar, esto no está bien. Oh no - that is not acceptable. Debemos hablar de todo esto. ¡Cómo pueden hablar de progreso! How can they speak about progress! Tendrá que hablar usted mañana. You will have to speak tomorrow. Voy a hablar de estas últimas. I will deal with those last.